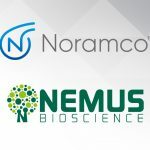 Nemus Bioscience announced an agreement with Noramco for the manufacturing and scale-up of proprietary analog of cannabidiol (CBD) licensed from the University of Mississippi. Noramco, a leader in controlled substances and cannabinoids, is adding commercial-scale capacity of dronabinol (THC) at its Athens, Georgia, United States facility. The expansion comes in response to rising demand for its highly pure cannabidiol (CBD) and dronabinol (THC) analogs of cannabis sativa. Noramco, a global leading producer of controlled substances, including cannabinoids for the pharmaceutical industry, today announced that it has filed a provisional patent application with the US Patent and Trademark Office (USPTO) directed to its proprietary pure cannabidiol (CBD) compositions. 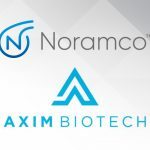 AXIM® Biotechnologies, Inc. announced that it has reached a long-term purchase agreement for pharmaceutical-grade dronabinol with Noramco, a global leader in the production of controlled substances for the pharmaceutical industry. Noramco welcomes enquiries from the news media. Whether you are looking for basic company information or have a follow up question regarding a recent press release, we are here to help. During regular business hours (8:00AM-5:30PM EST, M-F) members of the media should call our corporate headquarters. A major producer of specialty APIs for the pharmaceutical industry, Noramco is qualified to provide commentary in a number of topic areas, including API research and development, reference standards, and custom synthesis. For assistance, contact us. 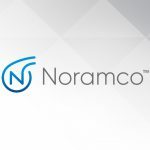 Noramco, headquartered in Wilmington, Delaware, is a global leader in the production of controlled substances for the pharmaceutical industry, for medicines used to treat attention deficit hyperactivity disorder, pain, addiction, and for abuse-deterrent formulations.